As the seasons change so does the veggies and fruits you should eat. Read below to know why you should eat in-season for optimal health and immune support! The season of fall brings cooler weather and shorter days. As with any season, the world adjusts accordingly. Plants begin to go dormant, animals start scrounging for food to help get them through the upcoming winter months and humans start winterizing everything. Sweatpants and hoodies become more commonplace and everything…EVERYTHING is pumpkin flavored. Healthy eating for fall begins with understanding what veggies are in-season! As fall descends on the land, it reminds us we need to start cutting back on the numerous cooling foods that are consumed during the summer months. Things like raw foods, salads, juices and fruits need to be decreased because they can create too much cold in the body. This is just one principle followed by Traditional Chinese Medicine. There are many facets to TCM and nutrition is one of the most important. The ancient Chinese observed what took place in nature and followed those cues accordingly. So when the season changed to fall and the amount of daylight decreased and the temperatures cooled, the Chinese began to eat what was available. This is what it means to “eat for the season.” By eating according to the season, we can avoid many illnesses and diseases. If we continue to eat raw, cold foods during the cooler fall and winter months, then we set ourselves up for digestive problems, colds, sinus infections and even painful joints. When a person eats seasonally, they will inevitably notice certain foods are no longer abundant or available. In the season of fall, one should fill their pantry and cupboards with dried foods, heavy grains, seeds, roots and squashes that can help move the body’s energy or Qi (pronounced “chee”) inward. Fall is also a time to slow down. This means we should cook food for longer periods of time on lower heat. How we cook food will affect how the body tolerates it and how the energy is utilized. Some examples of how to cook for the season of fall include making soups and stews, using a crockpot or slow cooker, roasting and baking foods. These methods create a deeper warmth and supply greater energy from the food. Foods that are nourishing to the lung are very important during the season of fall. Since many people get sick during these months, lung tonifying foods can be very beneficial. This includes foods like ginger, onion, garlic, pears, walnuts, miso, navy beans, almonds asparagus, broccoli, apricots, bananas, apples, plums and grapes. The dryer weather can also cause chapped lips, a dry nose, an itchy throat, rough skin and even dry stools. To counter these issues, it is recommended to eat foods that promote the production of bodily fluids, such as nuts, seeds, pears, pumpkin, honey and a traditional Chinese porridge known as congee. 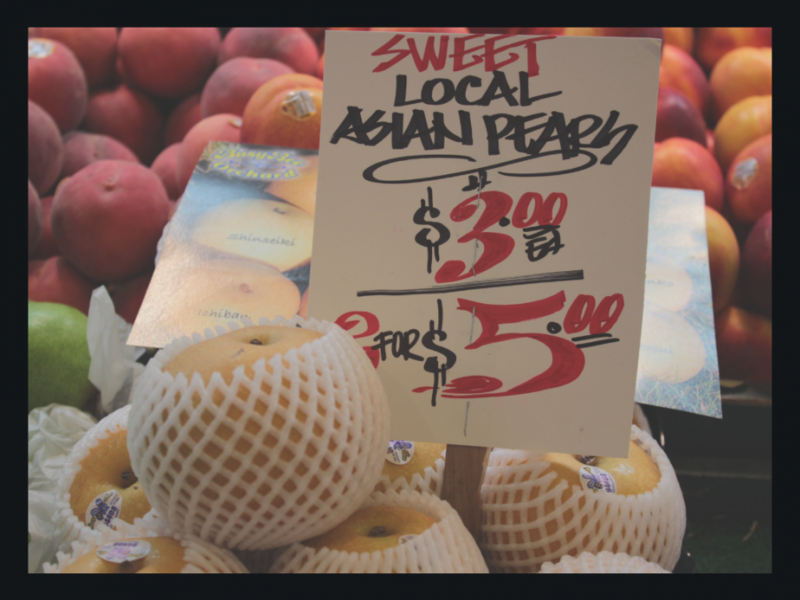 Asian Pears are great to promote immune health and support the lungs! Very crisp and delicious! Animal products tend to be warming and grounding by nature. And for those who eat animal flesh, increasing the intake can be beneficial during the cooler fall months. As mentioned before, roasting, baking or stewing the meats is the most beneficial. When we follow the cues given to us by nature, we can maintain a very healthy existence. 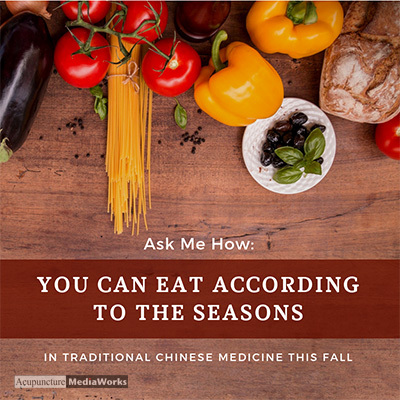 To learn more about eating according to the seasons and personalized nutrition consult. Call our office today at (425) 686-4498! 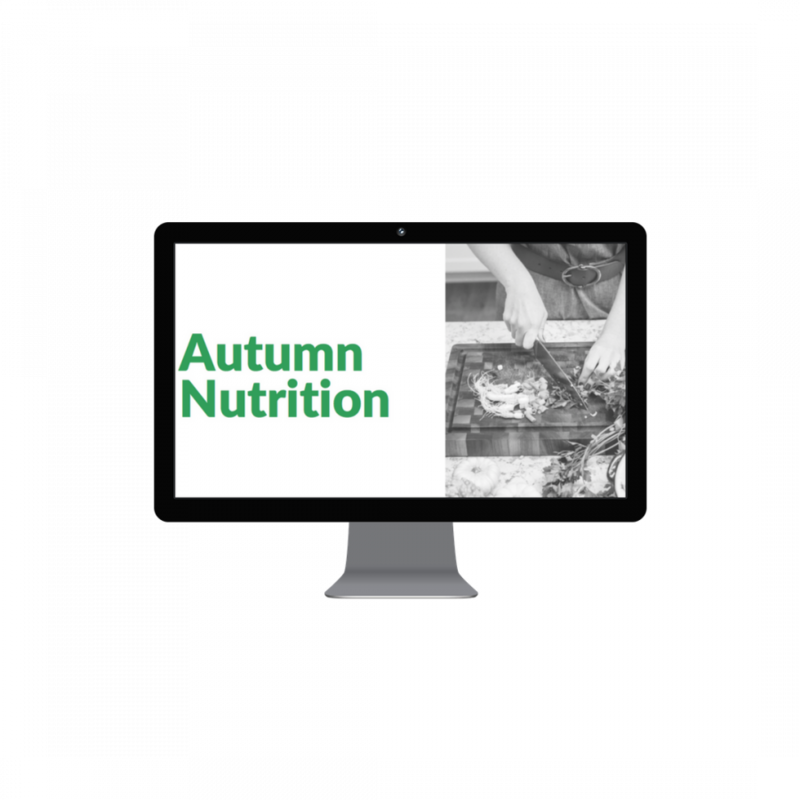 Also, check out our new online course: Autumn Nutrition! Available now to watch and learn on demand! ← Can acupuncture help you stay focused?